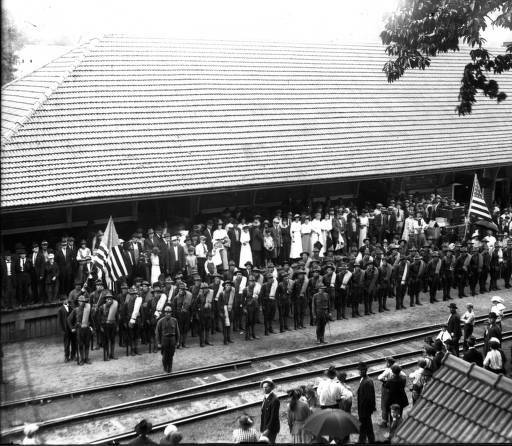 Company H, WWI, 1st North Carolina Infantry of the National Guard, departed Waynesville’s train depot on June 26, 1916. They guarded the Mexican border and returned to Waynesville in February 1917. In July 1917 they then were sent to France during WWI. Courtesy of Haywood County Public Library. Last Thursday, April 6, 2017, marked the 100th anniversary of the United States’ entry into World War I. Over the next year, many cultural heritage institutions around the country are highlighting the materials they hold related to the “Great War.” We wanted to highlight some of the fantastic local North Carolina materials we have digitized for our partners that document the World War I perspective from North Carolinians’ eyes. Service records, photographs, news clippings and letters back home from communities across the state are digitized here on DigitalNC. From Wilson County, we have a set of records from 70 men that served in the war that the United Daughters of the Confederacy collected and a scrapbook that includes letters from a Robert Anderson before he was wounded in action and died in France. 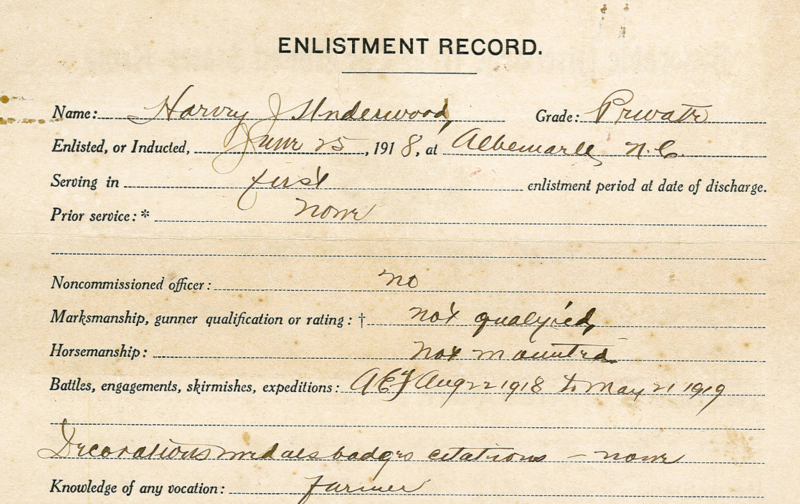 From Stanly County, we have an enlistment record that includes the amount Harvey Jarvis Underwood was paid to serve, and a history of the service records of Stanly County men who served in the war. From the Grand Lodge of the Ancient, Free, and Accepted Masons of North Carolina, the NCDHC digitized a list of all the North Carolina masons who died in World War I. Several scrapbooks from Elon University detail the students’ view of the war as well as what college life during World War I looked like here in North Carolina. 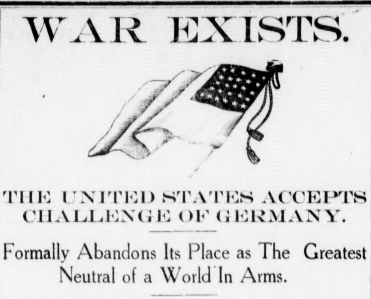 The richest source of information on World War I and North Carolina on DigitalNC may very well be the many local newspapers we’ve digitized that contain the local perspective on the war, including some quite subdued headlines announcing the US’s entry. 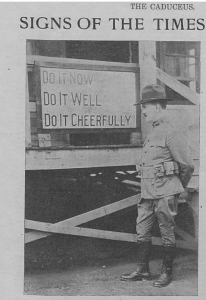 DigitalNC also hosts several World War I camp and hospital newspapers including the Trench and Camp from Camp Greene and the Caduceus, the paper of the Base Hospital at Camp Greene. Both are from Charlotte Mecklenburg Library. 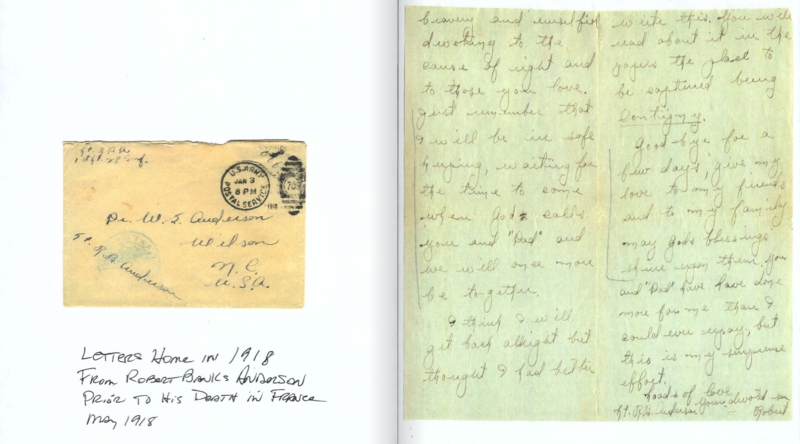 To view more materials from World War I, check out a search of our collections here. And to learn more about World War I materials from across the state, visit the institutions highlighted in this blog post from our colleagues over at the State Archives of North Carolina.